Prices independently checked and validated. For verification, please write to Asda LS11 5AD. Pinpoint is available at this petrol station. Simply press the button on the Pinpoint key fob to alert an Asda colleagues that you need assistance. A signal comes back to reassure you that someone is on their way. Find out more here. The store manager at Asda Eastleigh is Pat Singleton. If you need to contact the store for any reason, please use the phone number on the left. 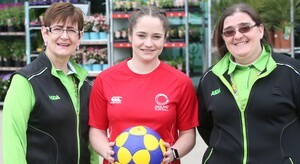 Good luck to Elise Sparks from our Gillingham Pier store who's playing for the England under-19 squad in the Korfball World Championships in the Netherlands this weekend. 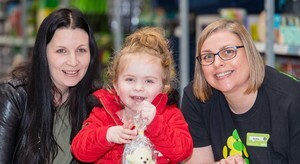 Three-year-old Ava Melrose loves everything about Asda and gets so excited about joining her parents Donna and Alan on their regular visits to our Forfar store that they end up calling in most days. 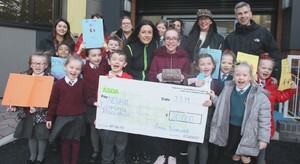 A 'fantastic' Belfast community hub which offers activities for hundreds of people every week has received a £20,000 donation from the Asda Foundation to help them buy new equipment for their refurbished centre. 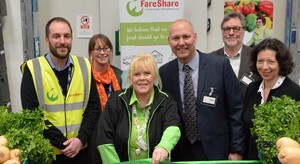 Our £20 million Fight Hunger Create Change campaign has paid for food charity FareShare to relocate their Newcastle warehouse to a bigger site that will help them provide fresh food to thousands more local people in need. Hi, my name is Debbie Wilson. I'm the Community Champion for Asda Eastleigh. Part of my work is to get out and about in our neighbourhood volunteering and generally supporting local charities, schools and community groups. We invite them into store to raise funds and awareness, or use our Community Suite free of charge for their meetings. You can contact me in store on 02380 268341 x 222 or email on community_eastleigh@asda.co.uk. You can follow me on Twitter to catch all the news about our store events on @AsdaEastleigh We are offering the use of some of our office space to the community to be used free of charge by non profit organisations as well as the facility to hold meetings/workshops/coffee mornings in our cafeteria.